LIVINGSTON — Tuesday the Livingston Independent School District Board of Trustees voted unanimously to hire Beaumont native, and former Tomball Memorial High School Head Coach, Finis Vanover. This coming just three weeks after former Head Coach Brian Broussard resigned. Broussard went 9-30 overall in 4 seasons with the Lions. Vanover, 61, graduated from Beaumont French High School in 1972, and McNeese State University in 1976. Vanover began coaching in 1977 as the Defensive Coordinator and Baseball Coach for French High School. He then went on to be the Head Football Coach for Hardin-Jefferson from 1980-1983. He would return to a consolidated French High School as the Defensive Coordinator and Assistant Head Coach, helping the team win a 5A State Title in 1984. Vanover's last stint in the Golden Triangle was after the 1985 season. He has been well traveled in the state of Texas since, making stops in Fort Worth, Seminole, Lufkin, and Angleton. His longest tenure was with Diboll High School from 1993 to 2005, winning District Titles in 7 of his final 9 years at the school and advancing as far as the Regional round of the playoffs. His final stop was at Tomball Memorial High School in Tomball, Tx. 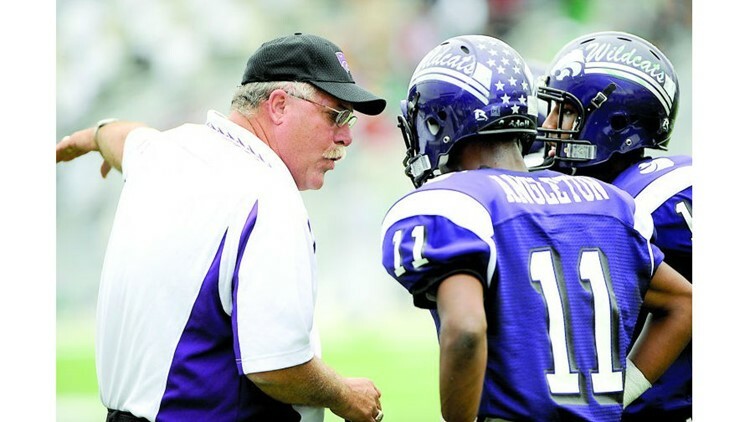 The school was brand new when he took the job in 2011, and was able to take the football team to the playoffs in 2013. He went 27-32 overall in his 6 seasons as Head Coach, and 5-4 (3-4 in district) last season before retiring. Vanover will now return to the southeast Texas area with the Lions as Livingston will compete in 11-4A, against Bridge City, LC-M, and Lumberton.